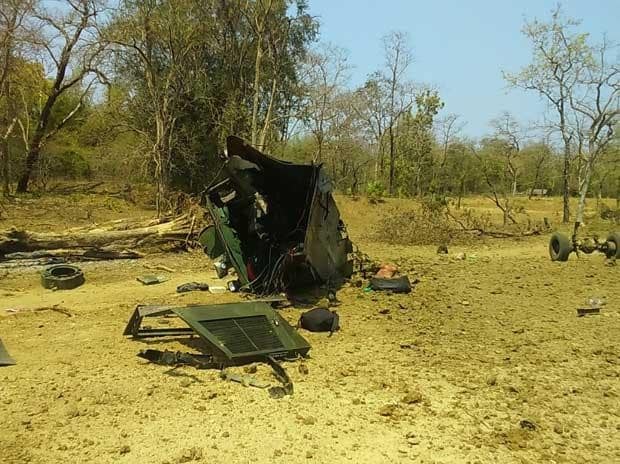 At least four civilians and one Central Industrial Security Force (CISF) jawan were killed on Thursday when suspected Naxals blew up a bus with an improvised explosive device (IED) in poll-bound Chhattisgarh's Dantewada district, police said. Two personnel of the CISF were also injured in the incident, Dantewada Superintendent of Police Abhishek Pallava told PTI. The explosion took place in a hilly area in Bacheli in Dantewada when the personnel were returning to their camp after purchasing groceries from the market, he said. The civilians killed in the blast included the bus' driver, conductor and cleaner, Pallava said. "In the blast, we lost our Head Constable D Mukhopadhyay. Constables Satish Pathare and Vishal Suresh, who were injured in the blast, are admitted in a hospital for treatment. According to the report, they were not carrying any weapon when the blast hit the bus. As per reports, it was an IED (Improvise Explosive Blast)," DG CISF Rajesh Ranjan told ANI. Just eight days ago, two Chhattisgarh police personnel and a Doordarshan cameraman were killed in a Naxal attack in Aranpur village of Dantewada district. The attack comes just days ahead of the first phase of voting for the state assembly elections, scheduled for two phases on November 12 and November 20, in which 18 constituencies, mainly in the Naxal-affected areas, will go to polls.